An important date on the ‘romantic’ calendar is February 14th, Valentine’s Day. More than just a ‘Hallmark’ moment, Valentine’s Day is still celebrated by vast numbers of couples and seen as an opportunity for singles to express their admiration for a prospective romantic partner. So what are its origins and how did it evolve into one of the biggest ‘Hallmark’ holidays in the modern era? Here’s a brief history of Valentine’s Day from the Intro team. The history of Valentine’s Day precedes all of the romantic gestures that we see today. Its roots can be found in the ancient Roman fertility celebration of Lupercalia. Around 496, it’s been determined that Pope Gelasius turned this into a Christian feast day called St. Valentine’s Day. Now in dispute is which Saint Valentine, Pope Gelasius was intending to honour. There are at least three Saint Valentine’s that existed in history and this includes a pope, a bishop, and a third individual that little information is known about. To make matters even more confusing, all three Saints are said to have been martyred on February 14th. The romantic love component of Valentine’s Day is believed to have begun within the circle of Geoffrey Chaucer during the Middle Ages period. This is when the tradition of lovers courting one another began. Then during the 18th century, Valentine’s Day evolved into an occasion when couples would express their love for one another. This expression of love would likely involve the exchange of flowers and/or candy, and giving one another a greeting card – which we now define as a Valentine. During the 19th century, Valentine’s Day cards became big business for companies such as Hallmark and now today, they account for 25% of cards exchanged on an annual basis. 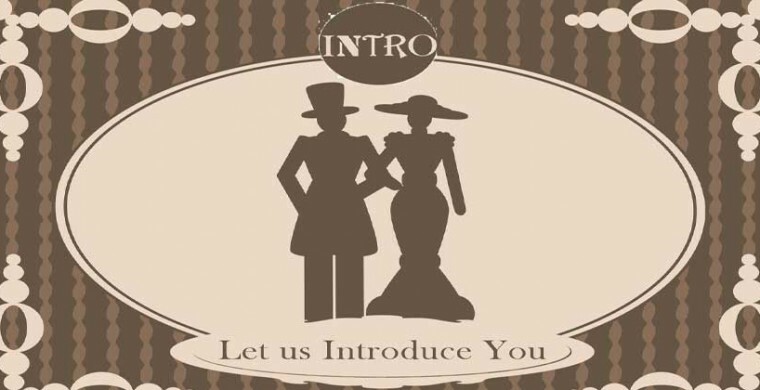 In our work at Intro, we learn a lot about love and forming long-term relationships. We have developed the skills to selecting the perfect matches for our client. This comes from our ability to truly get to know our clientele and learn about their perfect partner. Many couples have differing views on how to spend Valentine’s Day. Some see it as an overly commercialized holiday and others view it as a day for celebrating their love for one another. We believe it’s important to view the holiday in its historical roots, but also to determine your relationship’s personal connection to the date.